Abba Enbaqom (ca. 1470-ca.1565) is a representative figure of the 16th century. Former Muslim converted to Christianity, he was the only non-Ethiopian eččagē of Dabra Libānos. His linguistic knowledge of Arabic, Ge’ez, Latin and Portuguese demonstrate his erudition. His literary activity also testifies the growing exchanges between Egyptian Coptic Church and Ethiopia, for he translated from Arabic to Ge’ez five documents that became fundamental readings of the Ethiopian liturgy. Besides, his relationship with the established Ethiopian power reflected the religious ambiguity of the 16th century. At first, he was supported by King Lebna Dengel (1508-1540). He was then demoted and exiled around 1527/1528 and therefore preached in the peripheral areas of Endagbatan, Bizamo and of the Gāfāt (Southwestern Ethiopia). He finally came back at court in the favors of King Galāwdēwos (1540-1559), and he was later reappointed at the head of Dabra Libānos by King Minas (1559-1563), where he pursued his literary activities until he died, during the reign of King Śarḍa Dengel (1563-1597). During this reign, he wrote his masterpiece: the Anqӓsӓ Amin (‘The Gate of the Faith’). Though his targeted audience, the exact date of composition and the motivations to write such a text are still under debates, the Anqӓsӓ Amin is the first text incorporating Ge’ez translation of some parts of the Coran. The author attempts to demonstrate how the Coran establishes Christianity as the true faith. The stake of his writings is to convince Christians who converted to Islam during the war to came back to Orthodoxy. The question of conversion appears to be central in many 16th century’s documents, like the maṣḥafa qeder. The works of Abba Enbaqom are therefore living examples of the possible exchanges between Ethiopian Muslim and Christian realms during the 16th century, and beyond. This presentation aims to present how Enbaqom demonstrates the common porosity of Ethiopian Christian and Muslim cultures during the 16th century and how his works have survived and have been diffused after he died. 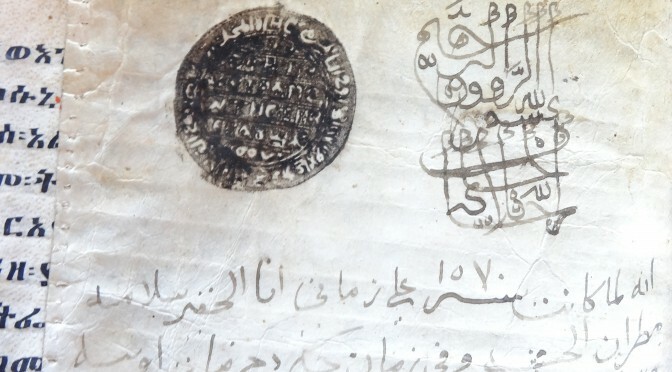 Some documents in Arabic, with sometimes parts in Coptic Bohairic, were copied into the the archives of Christian Ethiopia. This corpus consists of six complete documents and a few marginal additions from the late fourteenth century to the mid-nineteenth century. What can be said from six documents produced and preserved during five centuries? They have a similar origin since they were produced by the Coptic metropolitans heading the Ethiopian Church. Contextualizating each document explains why, occasionally and in different situations, the Ethiopian religious institutions appealed to the Coptic episcopal authority. Margaux Herman, Deresse Ayenachew et Anaïs Wion sont historiens, docteurs de l’Université Paris 1 Panthéon Sorbonne et spécialistes de l’histoire médiévale et moderne de l’Éthiopie. 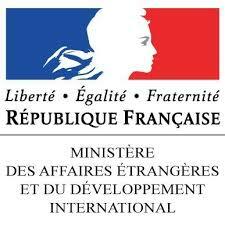 Margaux Herman est chercheure associée à l’IMAF (UMR 8171) et au CFEE. Deresse Ayenachew est professeur assistant à l’Université de Debre Berhan et chercheur associé au CFEE. Anaïs Wion est chargée de recherche au CNRS et au CFEE. Margaux Herman, Deresse Ayenachew and Anaïs Wion are historians, PhD from Université Paris 1 Panthéon Sorbonne, and specialized in medieval and early modern Ethiopian history. Margaux Herman is associate researcher at IMAF (UMR 8171) and CFEE. Deresse Ayenachew is assistant professor at Debre Berhan University. He is associate researcher at CFEE. Anaïs Wion is a researcher at CNRS and CFEE.